When we last met the Climate Change Committee – the statutory advisory body of “wise men” that makes global warming policy recommendations for the UK – they were urging politicians to make red meat an expensive luxury. If beef or lamb were as expensive as truffles are today, they suggested, we could save the planet from runaway global warming. This time, they’re back to report on energy, with a particularly rosy set of numbers that doesn’t quite add up. Some of the recommendations will make Greens feel uncomfortable – particularly those Greens with a financial or emotional attachment to wind power. But the Puritan agenda we saw before remains. 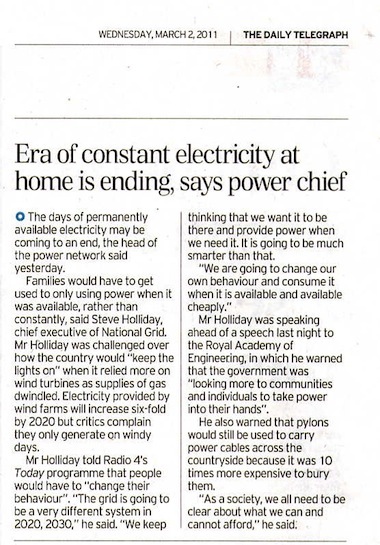 To make energy supply and demand meet, the “wise men” note, there will have to be power cuts. This isn’t some paranoid fantasy from a lone blogger. The elites have already been softening up the population to prepare for cuts for some time. But what the Climate Change Committee delivers is that rarest of things: a cost-benefit analysis of low-carbon energy production. And as in any cost-benefit analysis, the expensive, inefficient technologies such as wind power come out very poorly. “Nuclear appears likely to be the lowest-cost low-carbon technology with significant potential for increased deployment; it is likely to be cost-competitive with gas CCGT at a £30/tCO2 carbon price in 2020. As such, it should play a major role in decarbonisation, provided that safety concerns are addressed,” they recommend. The report argues that authorities must begin to plan now in order to create easier and more sustainable ways of accessing goods and services in the world’s ever-growing cities. Citizens must also be encouraged to change their behaviour to keep cities liveable. By 2040, the world’s urban population is expected to have grown from 3.5bn to 5.6bn. 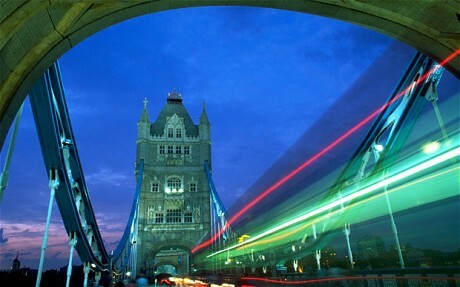 The new report calls for a radical re-engineering of cities’ infrastructure to cope. 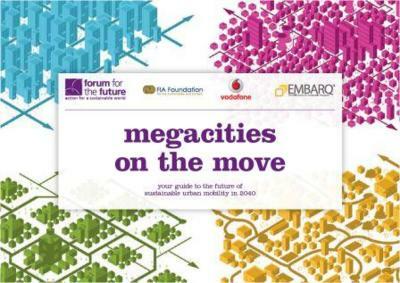 “The future is going to look pretty urban … with more and more people shifting to cities to the point that, by 2040, we’re going to have two thirds of all the people in the world living in cities,” said Ivana Gazibara, senior strategic adviser at Forum for the Future and an author of the report, Megacities on the Move. She said there are already cars that have integrated hardware allowing them to communicate with each other and central traffic hubs. By collecting and centralising information of this kind, city authorities could manage traffic information in real time and help speed up people’s journeys. And better “telepresence” systems for virtual meetings could remove the need for some journeys altogether. The trickiest part, though, could be getting citizens themselves to take part. “We have the technological solutions, whether it’s alternative drive-trains for vehicles or sophisticated IT – the real challenge will be scaling it in a meaningful way,” said Gazibara. For the future, Gazibara pointed to innovative car-sharing schemes such as the CityCar concept, developed at the Massachusetts Institute of Technology, with “stackable” electric cars lined up near transport hubs. These could be rented out for short journeys within city limits. They could also store power at night, when renewable sources might be generating electricity that would otherwise have to be dumped. If you think that leaving the EU would be catastrophic, take a look at Greenland. By rights its people ought to be poor. Their island is isolated, suffers from freezing weather, has a workforce of only 28,000 and relies on fish for 82 per cent of its exports. But it turns out that since leaving the EU, Greenland has been so freed of EU red tape and of the destruction of the Common Fisheries Policy, that the average income of the islanders today is higher than those living in Britain, Germany and France. 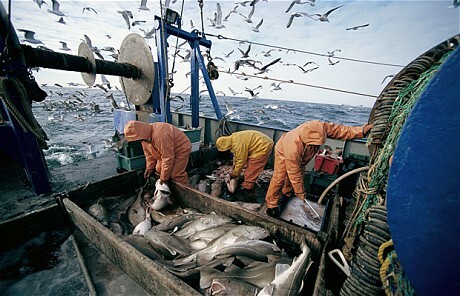 Greenland’s politicians realised that the fisheries policy was ruining their fishing industry. They had the guts to stand up against the all the prophets of doom and let their people vote in a referendum on leaving the European Community, as the EU was then called. On January 1, 1985, it became independent of Brussels – the only country ever to do so. 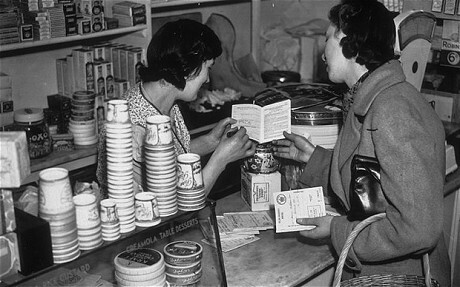 Greenland was, with Britain, one of only two EU countries to be heavily dependent on fishing. In fact, Britain had, in some estimates, 80 per cent of Europe’s fish stocks when it entered the EU, because our fishermen had carefully managed them, while the fisherman of Spain, France and Italy had destroyed most of the Mediterranean stocks. The surprising thing is that while the unemployment from closing (loss-making) coal mines is frequently denounced by Labour politicians, more British workers lost their jobs as a result of gigantic French and Spanish boats being permitted to raid our stocks. Few of those politicians seem to care. But care they should, because it is not just fish where the EU is damaging us, but in financial services, manufacturing – indeed, its ever-increasing regulations impose unnecessary costs across the whole of our economy. Greenland, which retains free trade with the EU, shows that we can have the benefits of European exports, without the costs of its diktats. It’s surely time that we, too, said goodbye to Brussels. The last round of talks in Copenhagen last year ended in a weak political accord to keep temperature rise below the dangerous tipping point of 2C(3.6F). This time 194 countries are meeting again to try and make the deal legally binding and agree targets on cutting emissions. At the moment efforts are focused on trying to get countries to cut emissions by 50 per cent by 2050 relative to 1990 levels. But Dr Myles Allen, of Oxford University’s Department of Physics, said this might not be enough. He said that if emissions do not come down quick enough even a slight change in temperature will be too rapid for ecosystems to keep up. Also by measuring emissions relative to a particular baseline, rather than putting a limit on the total amount that can ever be pumped into the atmosphere, there is a danger that the limit is exceeded. Other papers published on ‘4C and beyond’ in Philosophical Transactions of the Royal Society A warned of rising sea levels, droughts in river basins and mass migrations. Forget the Dow and the GDP. Here’s the latest economic indicator: The U.S. birth rate has fallen to its lowest level in at least a century as many people apparently decided they couldn’t afford more mouths to feed. The situation is a striking turnabout from 2007, when more babies were born in the United States than any other year in the nation’s history. The recession began that fall, dragging down stocks, jobs and births. “It could take a few years to turn this around,” he added. The Great Recession “is definitely a deterrent” to people having more children, said Dr. Michael Cabbad, chief of maternal health at the Brooklyn Hospital Center, where births declined from about 2,800 in 2008 to about 2,500 last year. Besides finances, experts said a decline in immigration to the United States also may be pushing births down. The downward trend invites worrisome comparisons to Japan and its “lost decade” of economic stagnation in the 1990s, which was accompanied by very low birth rates. Births in Japan fell 2 percent in 2009 after a slight rise in 2008. Cherlin said the U.S. birth rate “is still higher than the birth rate in many wealthy countries and we also have many immigrants entering the country. So we do not need to be worried yet about a birth dearth” that would crimp the nation’s ability to take care of its growing elderly population. The new U.S. report is a rough count of births from states. It estimates there were 4,136,000 births in 2009, down from a year ago’s estimate of 4,247,000 in 2008 and more than 4.3 million in 2007. Heather Atherton is nearing that mark. The Sacramento, Calif., mom, who turns 36 next month, started a home-based public relations business after her daughter was born in 2003. She and her husband upgraded to a larger home in 2005 and planned on having a second child not long afterward. Then the recession hit, drying up her husband’s sales commissions and leaving them owing more on their home than it is worth. A second child seemed too risky financially.